According to the panel’s report, the Valletta 2018 Cultural Programme has a very strong European dimension, with more than 250 artists from abroad including Egypt, Israel and European countries actively contributing to it. The programme’s focus on the Mediterranean and on all those countries which share its shores, has also been strengthened. Valletta 2018 – European Capital of Culture (ECOC) has been awarded the Melina Mercouri prize of €1.5 million in view of its strong European dimension and citizens’ involvement, particularly through the education and capacity building programmes. Valletta 2018 Foundation Chairman Jason Micallef said “The award of the Melina Mercouri prize shows that the European Commission recognises our efforts in developing a strong programme whilst also transforming previously forgotten spaces into creative hubs. The participation of Maltese and Gozitans in Valletta 2018 along with the infrastructure projects taking place in Valletta, will ensure a lasting legacy beyond 2018”. The Melina Mercouri prize was awarded to Valletta 2018 as a successful ECOC following the second monitoring meeting in Brussels on 7 March 2017 between Valletta 2018 and the Monitoring and Advisory Panel of the European Commission. The first meeting was held in September 2015. 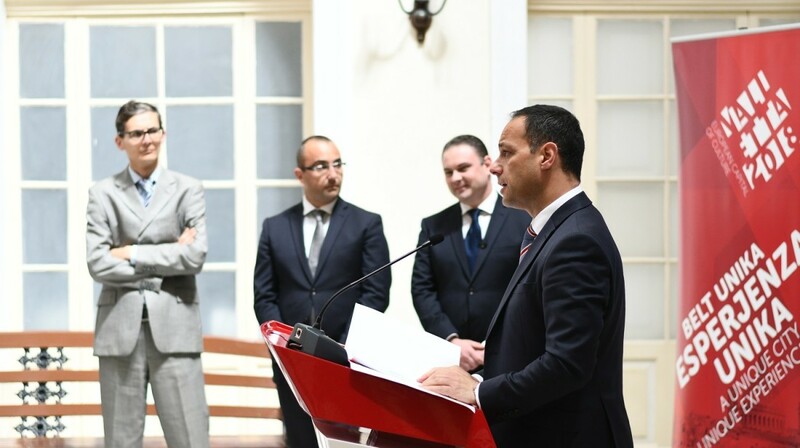 Addressing the media, the Minister for Justice, Culture and Local Government, Owen Bonnici congratulated Valetta 2018 and all those who contributed towards achieving this award from the European Commission. “The European Capital of Culture is among the most high profile events in Europe” the Minister said, stating that the cultural programme tied to the title has to have a local dimension as well as a European dimension, and above all must be one that involves the public. The title of European Capital of Culture also has an economic and social impact, which in itself is also part of the national legacy that the Government has created as part of Valletta 2018, thanks to inclusive and collaborative work as well as investment which is changing the arts and culture sectors today as well as for future generations. “This is happening not only in Valletta but – as we have always maintained – this is an impact which is today felt across Malta and Gozo,” Dr Bonnici said. The Shadow Minister for Culture Karl Gouder said: “It is important that we do not only have a strong year in 2018 but that the legacy created following this year is felt well into the future to benefit all”.